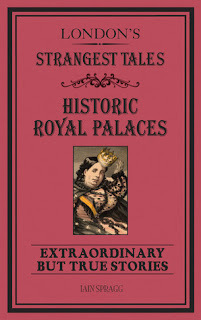 London's Strangest Tales, Historic Palaces - Extraordinary But True Stories by Iain Spragg is just that, a collection of short but true stories from history. Told in chronological order, the tales come from London's five historic palaces: the Tower of London, Hampton Court Palace, the Banqueting House, Kew Palace and Kensington Palace. Commencing in 1078, the tales take us through history up until 2013, but in my opinion didn't really live up to the title claiming they were 'extraordinary'. Don't get me wrong, some of the stories were interesting - cardinal spiders at Hampton Court Palace - however many I'd read before (or learned about in documentaries) and others were clearly hyped up for inclusion in this collection. 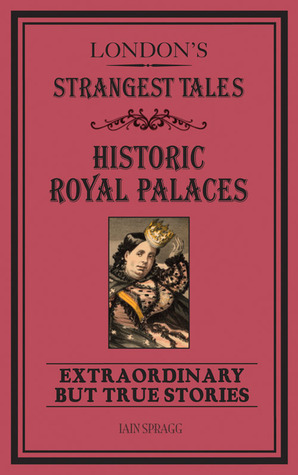 I'd recommend London's Strangest Tales - Historic Palaces by Iain Spragg for younger readers as an easy introduction to history in London, and to perhaps ignite a desire to learn more. For devotees of documentaries, and readers of history and historical fiction, you may want to give this one a miss.